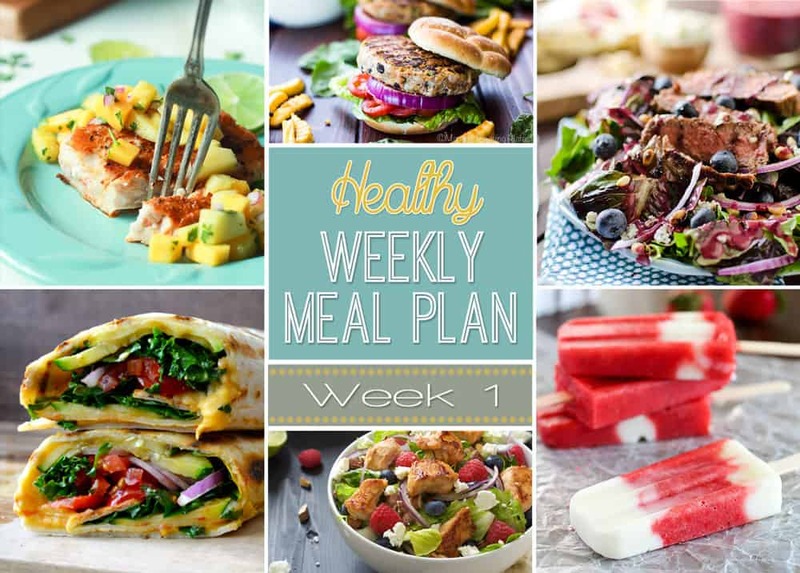 Welcome to the very first installment of our Healthy Weekly Meal Plan! 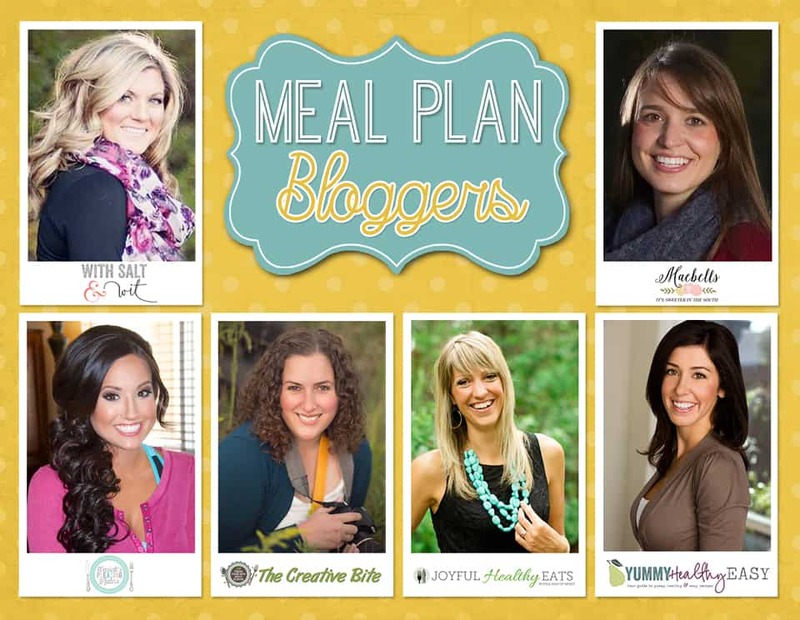 Myself along with†5 other amazing bloggers have come together to make a collaborative meal plan every week that is not only healthy but amazingly delicious. We all know how hectic life can be and by being proactive and planning ahead with a menu, we can make eating healthy a whole lot†easier. Stop back every Saturday morning to get your weekly meal plan full of daily entrees as well as a†breakfast, lunch, snack and dessert! This veggie wrap with a grilled tortilla, zucchini and hummus is the perfect dinner idea for Meatless Monday paired with a fun Asian Cucumber Salad. Beat the heat and fire up the grill outside†with these fresh and easy†shrimp skewers. With a homemade Blueberry Balsamic Dressing,†bleu cheese and grilled steak, this salad is in flavor overdrive.†It is the ultimate fresh, healthy and hearty meal. This easy and healthy Cajun Mahi Mahi with Mango Salsa is the perfect weeknight dinner. In only 15 minutes, you have a wholesome and delicious meal on the table! What a better way to enjoy lunch on a warm summer day than with this salad loaded with chicken, almonds, fruit and goat cheese! This healthy twist on on a burger is bursting with flavor and protein from lean ground turkey and black beans. †With only 4 ingredients, these easy popsicles will cool you down and satisfy your sweet tooth. These muffins skip the flour and use protein powder instead. Along with banana and peanut butter they make†the perfect protein packed breakfast. A sweet mix of fresh fruit and your favorite Greek yogurt served with homemade baked cinnamon sugar chips for a sweet treat you can feel good about. Skinny Chicken Enchilada Stuffed Chilies have all of the flavor and none of the guilt. Zesty enchilada flavors are merged with the classic chile relleno to make this†a hearty and healthy Sunday dinner.